This health insurance review is for the Pharmacists Health Insurance Company, also known as Pharmacist Mutual Companies. Are you in-between jobs, unemployed, or need health insurance coverage for you and your family? Use our simple search tool below and enter your zip code to find health insurance near you! 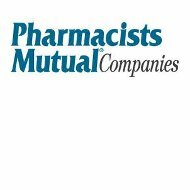 Headquartered in Iowa, the Pharmacists Mutual Companies is the parent organization to three subsidiaries including Pharmacists Mutual Insurance Company, Pharmacists Life Insurance Company and the Pro Advantage Services, Inc. Insurance and Investment Company. The Pharmacists Mutual Companies offer insurance products to pharmacists and pharmacies, as well as businesses and individuals who are associated with pharmacies. If you do not fall into one of these categories, you must obtain insurance from another insurance carrier. The Pharmacists Mutual Companies offers various insurance products in all but one state as well as in the District of Columbia. Currently more than 300 employees work for the Pharmacists Mutual Companies. The company has more than 80,000 policies and nearly 50,000 customers across the country. While most of the policyholders are pharmacists, others include students in a pharmacy program, pharmacy owners, gift shop owners, and providers of medical equipment. The main toll free telephone number for Pharmacists Mutual Companies is 1-800-247-5930. There are no additional phone numbers listed for any of the companies or subsidiaries of the Pharmacists Mutual Companies. As this review focuses on health insurance, the one health insurance product offered by the Pharmacists Mutual Companies is available under the Pharmacists Life Insurance Company umbrella. Since this health insurance is only available to pharmacists or individuals associated with a pharmacy or pharmaceutical companies, other individuals or businesses that are looking for health insurance products must contact another insurance company or insurance agent. One of the health insurance products that are offered is administered through a third party company called Assurant Health. It is not clear if Assurant has an official relationship with the Pharmacists Mutual Companies or is just available to accept applications from customers. The coverage is considered short-term medical insurance coverage that is available as gap insurance when an individual does not have coverage. This can be between jobs, or if unemployed, or for any other reason. The health insurance offered through Assurant Health is known as the Short-Term Medical Plan. The coverage allows individuals to pick the exact amount of days that they require coverage for, and can save up to 20% on the total cost of the plan by making the payment up front. Perhaps more importantly, individuals can keep their current doctors and other medical professionals while signed up for the health insurance through Assurant Health, as well as contact a plan doctor by phone 24-hours a day, seven days per week. The other insurance product available through the Pharmacist Mutual Companies is a supplemental insurance coverage also through Assurant Health. This coverage is for an unexpected critical illness, an accident, or even dental coverage. All of these programs offer a cash benefit direct paid to the insured. The Pharmacists Mutual Companies have been rated A (Excellent) or better by the A.M. Best Company for more than 75 years, and has had a financial strength rating of “A” since 1922. The list of open positions is on the front of the career webpage, and includes a link that provides more details on the specific position. In addition, there is a link to apply for a future position that meets the qualifications and experience of the applicant if no current opening does so. Zip code below for health and medical insurance rates in your area!